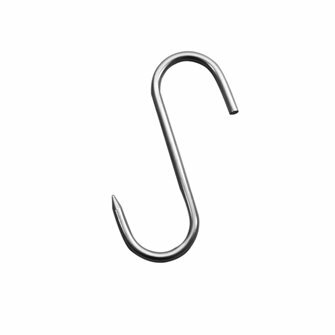 S-shaped hook measuring 200x9 mm. 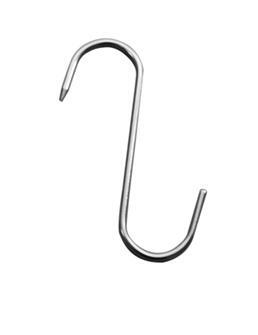 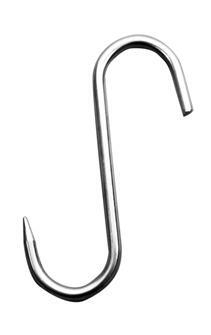 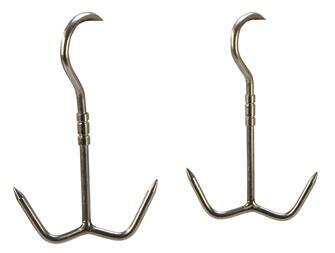 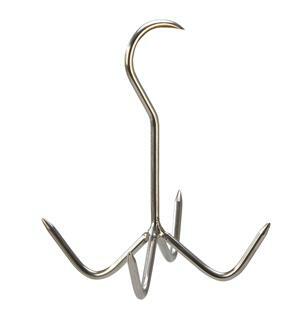 Hook with 4 tips in stainless steel for poultry or for hanging various small pieces of meat at a time. 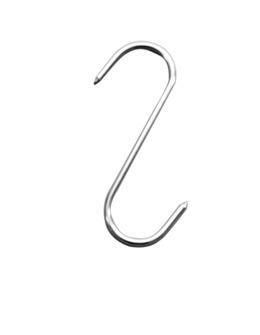 Butcher´s hook for carcasses. 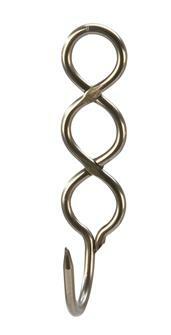 Soldered oval handle. 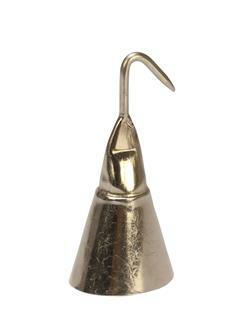 Height 180 mm. 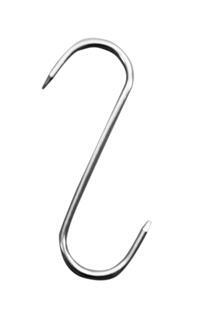 18 cm criss-cross butcher´s hook with three holes. 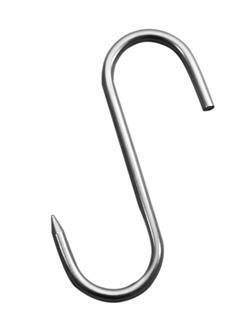 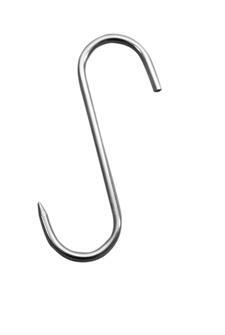 Stainless steel anchor rotating hook 220x9 mm. 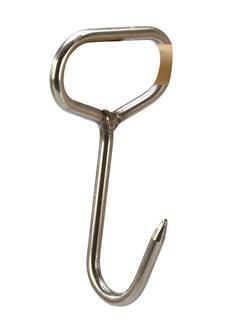 Stainless steel anchor rotating hook 240x10 mm.